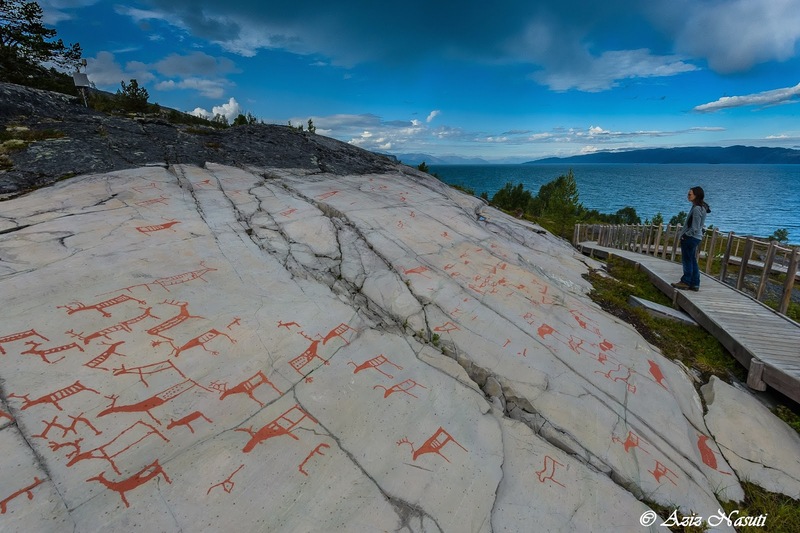 The Rock art of Alta (Helleristningene i Alta) are located in and around the municipality of Alta in the county of Finnmark in northern Norway. The first carvings were discovered in 1972. Until now more than 6000 carving have been revealed on different sites around Alta. The largest locality, at Jiepmaluokta about 4 kilometres outside of Alta, contains many thousand individual carvings and has been turned into an open-air museum. The site, along with the sites Storsteinen, Kåfjord, Amtmannsnes and Transfarelv, was placed on the UNESCO list of World Heritage Sites on 3 December 1985. It is Norway's only prehistoric World Heritage Site (ref.wiki).